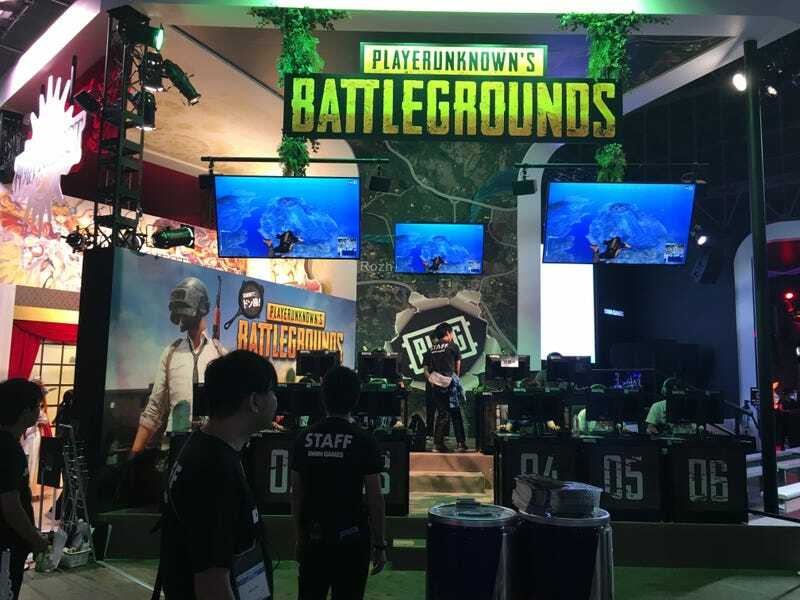 Of course, PUBG is at Tokyo Game Show too. Of course, PUBG is at Tokyo Game Show too. If you finish the match in the Top 5 you win a T-shirt. Already full of players!